Jubal Anderson Early (November 3, 1816 – March 2, 1894) was a Virginia lawyer and politician who became a Confederate general during the American Civil War. 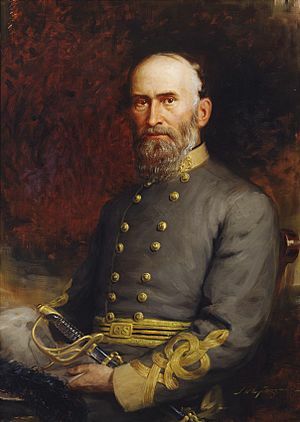 Trained at the United States Military Academy, Early resigned his U.S. Army commission after the Second Seminole War and his Virginia military commission after the Mexican-American War, in both cases to practice law and participate in politics. Accepting a Virginia and later Confederate military commission as the American Civil War began, Early fought in the Eastern Theater throughout the conflict. 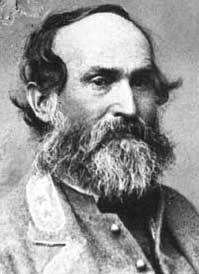 He commanded a division under Generals Stonewall Jackson and Richard Ewell, and later commanded a corps. 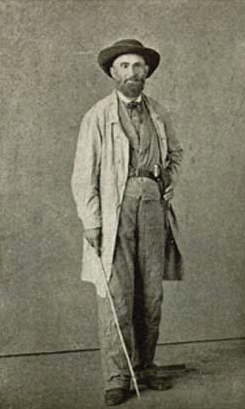 A key Confederate defender of the Shenandoah Valley, during the Valley Campaigns of 1864, Early made daring raids to the outskirts of Washington, D.C. as well as far as York, Pennsylvania, securing money and supplies which delayed the Confederate surrender for several months. After the war, Early fled to Mexico, then Cuba and Canada, and upon returning to the United States took pride as an "unrepentant rebel". Particularly after the death of Gen. Robert E. Lee in 1870, Early delivered speeches establishing the Lost Cause, as well as helped found the Southern Historical Society and memorial associations. Early tripped and fell down granite stairs at the Lynchburg, Virginia post office on February 15, 1894. A medical examination found no broken nor fractured bones, but noted Early suffered from back pain and mental confusion. He failed to recover during the next few weeks and died quietly at home on March 2, 1894. His doctor did not specify an exact cause on the death certificate. Virginia's flag flew at half-mast over the Capitol the afternoon of the funeral, and canons boomed 36 times at five minute intervals. A procession of VMI cadets, 300 Confederate veterans and local militia accompanied the flag-draped casket and riderless horse with reversed stirrups to St. Paul's Church. Early was buried at Spring Hill Cemetery in Lynchburg. The Library of Congress has some of his papers and the Virginia Historical Society also holds some of his papers. The Lost Cause that Early promoted and supported was continued by memorial associations such as the United Confederate Veterans (founded 1889) and the United Daughters of the Confederacy (founded 1894), as well as by his niece Ruth Hairston Early. Jubal Early's final book, Autobiographical Sketch and Narrative of the War between the States, was published posthumously (after death) in 1912. Early's recent biographer noted that Early understood the struggle to control public memory of the war, and that he "worked hard to help shape that memory." 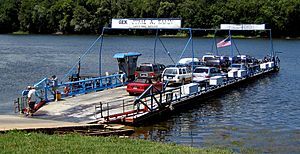 The only ferry still operating on the Potomac River, at White's Ferry, is named General Jubal A. Early. A major thoroughfare in Winchester, Virginia is named "Jubal Early Drive" in his honor. Virginia Route 116 from Roanoke City to Virginia Route 122 in Franklin County is named after him, the "Jubal Early Highway," and passes his birthplace, as identified by a historical highway marker. His childhood home, the Jubal A. Early House, was listed on the National Register of Historic Places in 1997 and maintained in part by a private foundation. Fort Early and Jubal Early Monument can be found in Lynchburg, Virginia. 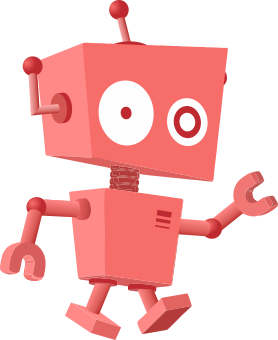 Jubal Early Facts for Kids. Kiddle Encyclopedia.